Typically, our weekly blogs are associated with trends and statistics as connected to the title insurance business and real estate industry. That said, given the time of year, we decided to deviate from the norm. As we approach the July 4th holiday – Independence Day – we certainly hope that you all will enjoy loads of quality family time to include picnics, barbeques and other summer-themed events. Of course, we also want you all to be safe. We’re confident you are aware of what’s been circulating among the news outlets about a terrorist threat to our country on July 4th. While you should always remain aware of your surroundings, you should never give in to these people by living in fear. Simply stated, if you see something, say something. Rest assured, law enforcement has our backs and will protect us. We should all go about our business and enjoy our planned holiday activities. That’s how the people of the United States roll! With that, we wish you a great holiday weekend. 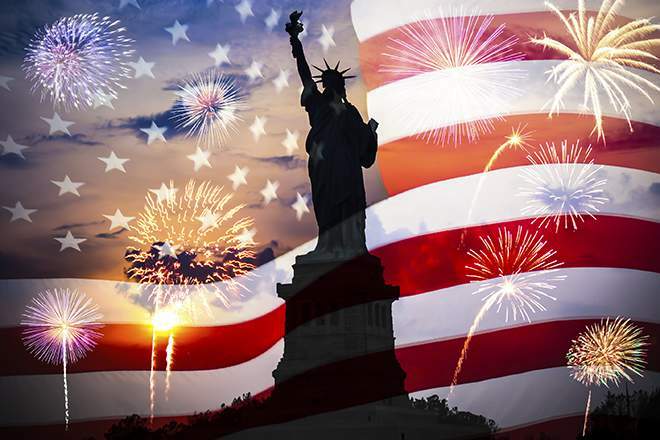 When you are watching fireworks this weekend, please don’t forget to wish our country a Happy 239th Birthday! !